Warmly express your wishes to that certain someone upon their most special of days. 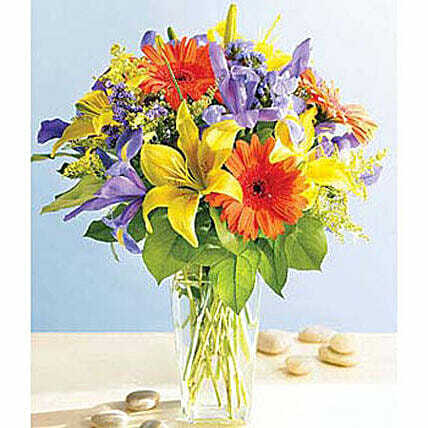 Contains 4 yellow Asiatic lilies, 5 blue iris, 3 Gerbera daisies, yellow and purple filler, and greenery. Flowers are in a clear glass vase.